As I’ve mentioned before, slow-cooking meat on the bone is a tradition for a reason. You need only taste some delicious BBQ ribs that have been on the smoker for 10+ hours or the juicy Thanksgiving turkey that Grandma has been basting all day. So, why is it that meat tastes better when cooked this way? Nutrients take time and moisture to be released. When you overcook meat, it becomes tough because the fat, protein and sugar within the meat get fused during the heating process and destroy the nutrients, causing reactions between them that form carcinogens. You can avoid this by making sure your meat stays moisturized during cooking (basting, slow cooking, stews, pressure cooking). The water molecules tenderize the tough proteins and keep them from fusing together. They also work at the connective tissue in the cartilage, skin, bone and ligaments to release molecules that help our joints and minerals like calcium, potassium, iron, etc. The great taste comes from the itty bitty peptides that are formed as water molecules chop the proteins small enough to fit our taste buds. Need one more reason to keep the skin on? The fat sits right underneath the skin in birds – fat gives us energy, helps our cells rebuild and allows us to absorb fat-soluble vitamins like A, D, E and K. This natural, healthy fat is different than sugar in that it doesn’t cause an insulin release (hello weight gain). However, it’s important that you buy organic meat; because pesticides on the plants animals eat accumulate in their fat, you need to buy organic to avoid these chemicals (and much more). 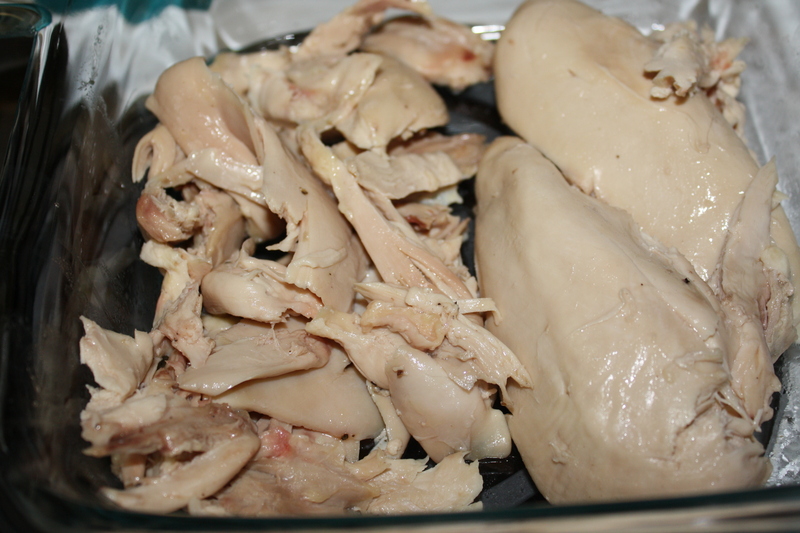 Each week, I buy a whole, organic chicken (remove and save giblets). I usually season with salt and pepper and some fresh herbs, but you can find recipes online for adding other ingredients for different flavors. 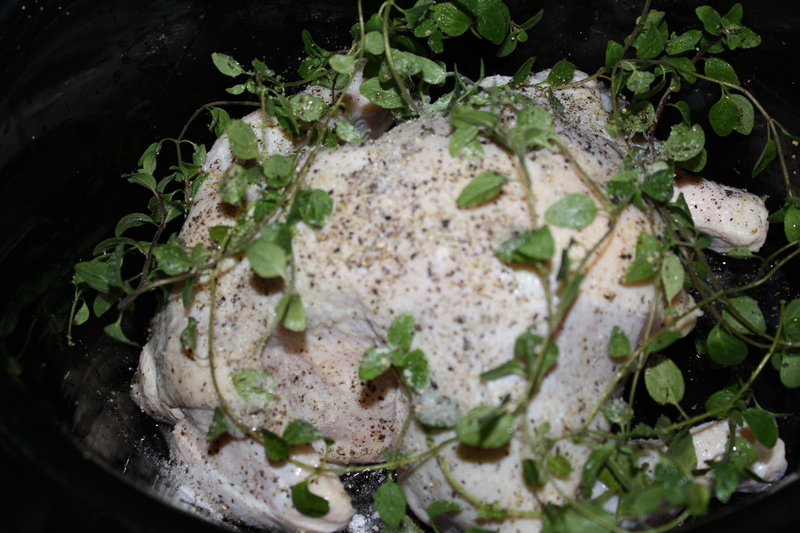 Now, I always have this ready to go for quick meals – add some fresh veggies, put it in a salad or add to a soup. The actual hands-on time is only 5 minutes to start and then 10 to take the meat off the bones. I save the bones and put them right back in the crockpot. In part two, I’ll explain how the bones give us even more nutrients and help create a staple of culinary technique. Note: If you typically don’t like dark meat (like my hubby), try using those pieces in soups or other dishes, instead of by themselves. I’ll admit I always hated dark meat until I started using organic meat – it doesn’t seem to have the same type of fatty texture that’s always disgusted me in the past. Try it and see what you think! Source: I simplified the scientific process of hydrolytic cleavage, or hydrolysis. You can learn more about it online or from Deep Nutrition. Pingback: What’s Your Dog Eating? Good post! Ryan’s Mom showed me how to make home made chicken noodle soup and it’s delish! 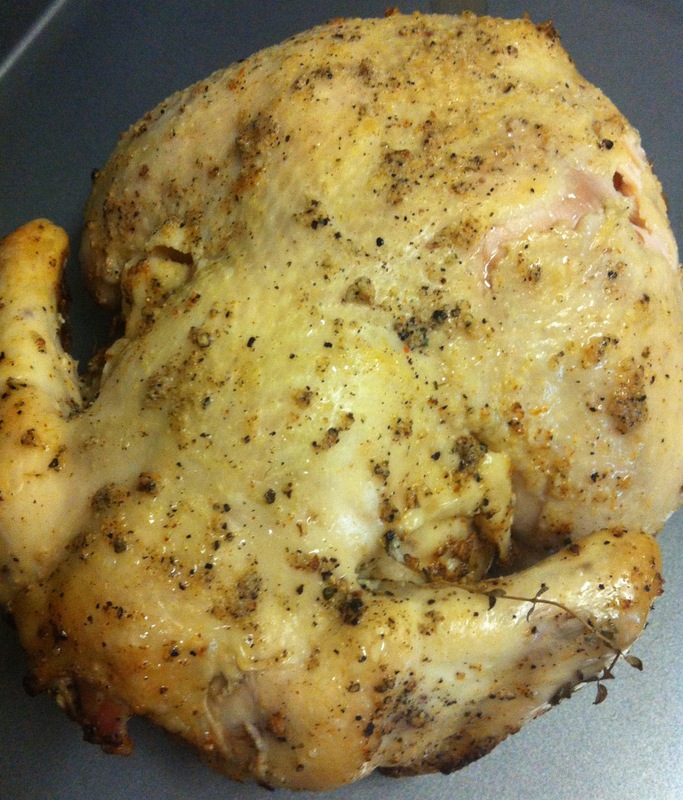 You use a whole chicken like that and it’s super easy!